REVOLUTIONARY LOVE (John 3:16) was the theme of the five-day Healing for the Nations convention in Rwentobo, Uganda. 25,000 delegates attended from many African Nations and around the world. There were many speakers and music groups from Rwanda, Kenya, Congo, Zambia, South Africa, Uganda, and North America. Janice and I spoke daily about how revolutionary love can transform one’s present or future marriage. We taught from Ephesians 5 about mutual submission, love and respect through Jesus. Our new book For Better, For Worse, drawn from Ed’s doctorate on marriage, was the basis of our marriage talks. 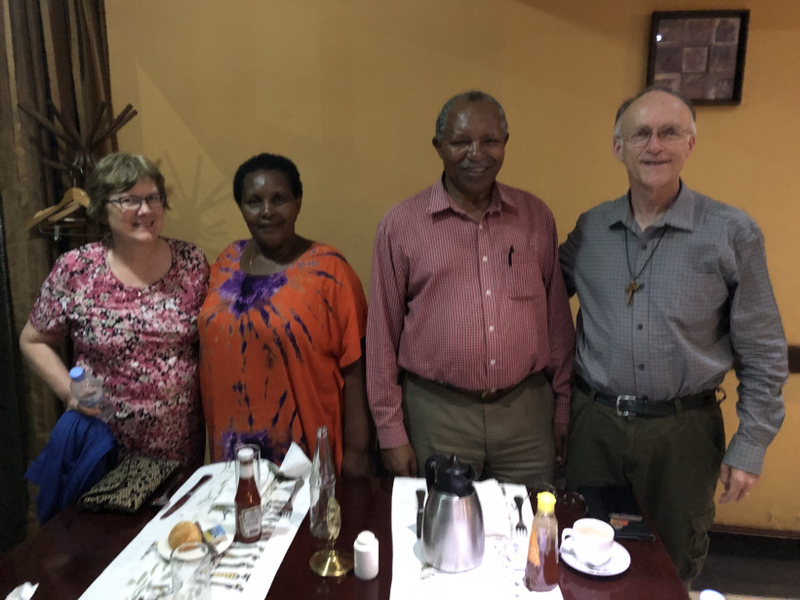 Ed and Janice with retired archbishop of Rwanda Emmanuel Kolini and his wife Freda. We encouraged thousands of couples to strengthen their marriages through rediscovering each other’s hidden strengths, celebrating each other’s differences, valuing the gift of conflict, and balancing closeness & personal space. We shared that marriage is a dance of intimacy in which we need to regularly learn new ‘dance steps’. Marriage is not about settling down but rather about embracing a bold adventure walking together into the often unpredictable future. In a wedding, one makes a for Better, for Worse commitment to one’s partner, come what may. Janice and I shared many humorous and sometimes embarrassing stories about challenges we have faced in our 41 year marriage. Many couples at the Convention came forward to renew their commitment to their marriage. Others made first-time commitments to finally tie the knot after many years of relationship. In many parts of Africa, paying a bride price to one’s future in laws may involve many cows, making marriage seem financially unreachable. I was reminded that we in Canada sometimes make a wedding, reception and honeymoon so expensive that some young people see marriage as out of reach. I have often married young couples in living rooms or in parks to make weddings more affordable. Rwanda, having suffered so deeply in the 1994 genocide, is very open to the message of Jesus’ love and forgiveness for all. Please keep both them, and us, in your prayers. We were grateful to have as one of our hosts the Anglican Bishop Nathan Gasatura.